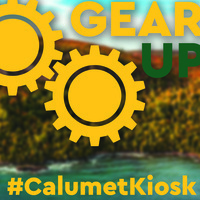 Invent@NMU will be launching the first-ever Calumet Kiosk, November 13. They will be hosting #BusinessBrews at the Keweenaw Coffee Works from noon - 2 p.m. The presentation will feature an introduction by Invent@NMU, followed by tips from local entrepreneur, Robert E. Loukus, Co-founder of REL. Everyone attending can drop off a business card at entry for a free coffee to sip on during the event, while also enjoying some soup and sandwiches.